Welcome once again to Ian and Blake’s annual Halloween series about a genre that does what few others can. This month, keep your eyes peeled for weekly top-five horror lists–with blistering #hottakes below. Be sure not to miss last week’s installment on horror double features, too! This urban legend, like many others, takes a mundane scenario (driving home at night) and downloads an entirely new operating system into it. It toys with our capacities to intuit danger by presenting us with the “obvious” threat–the truck menacingly tailing the protagonist, repeatedly flashing its high beams and following her every move the entire way home. We feel the terror of the maniacal truck driver’s relentless pursuit and hyperventilate as we count down the seconds to our heroine’s return home. Can she get out of the car in time to get inside and lock the door? The factory-set Jesus-Juke built into this legend, though, is that the threat isn’t actually from outside: It’s inside the car! What appeared to be the menace is in fact the story’s savior: The truck driver was faithfully flooding her car with light whenever the maniac in the back seat began to move towards her, forcing him to cram back down in the backseat. The retrospective understanding of the real danger amplifies the story’s fright and leaves us with an insistent note of disquiet whenever we approach our car after an extra late night at work. What powers threaten us on a daily basis and never impinge upon our comfortable, circumscribed consciousness? This one is another chronicle into the harrowing world of babysitting, a job that at first glance appears perfectly innocuous but upon closer examination is really a little bizarre. Ponder: inviting a stranger, one who is typically only a few years older than your children, into your home and entrusting your children’s well-being to her. The vetting process usually takes about two minutes (“You’ve babysat before?” “Sure, tons of times!” “Ok.”) and then you find yourself with a tween proxy bound by a $10 per hour oath to keep your kids alive until you return. The sheer strangeness of this socially acceptable practice makes it ripe for folkloric embellishment. It’s no surprise then that two entries on this list involve babysitting! “The Clown Statue” exploits the awkward quality of being in another’s home for an extended period and having to make the best of its alien arrangement, a situation made all the worse when the babysitter has to keep phoning the parents to find items and solutions to problems. All the while the astonishingly tasteless, unnerving clown statue at the end of the hall seems to minutely move from time to time. Nothing very noticeable… She just thought the left hand was raised a little more before? During her final phone call to the kids’ mom and dad she blurts out, “I’ll be very glad when I don’t have to look at that clown statue anymore!” “What clown statue?” the mother asks. “The clown statue at the end of the hall,” the babysitter answers. Panic grips the mother as she mutters, “We don’t own a clown statue…” The girl’s face freezes into a mask of pure terror as she gazes upon the grotesque figure that has begun to shuffle down the hall towards her. She successfully flees the clown killer but will never feel fully comfortable with the hospitality of others’ again. “Candle Cove”–currently being adapted by SyFy–is a somewhat unusual specimen on this list as it isn’t a piece of oral folklore. It originated as a creepypasta that took advantage of a reddit-style forum format to lugubriously piece together a tale of terror fit for our hyper-connected (but ironically fragmented) contemporary world. In it a couple of users reminisce about an old kids’ TV show called “Candle Cove,” and over the course of the thread remember a number of unsettling details like screaming marionettes and a character called the Skin-Taker who grinds children’s skin between his teeth. Everything is called into question with the last post, however. In it, one of the users informs the group that he spoke with his mother about the show, and she revealed how she thought it was so strange when he was that age he would say he was going to watch “Candle Cove” and just sit in front of the TV tuned to a dead channel for a half hour straight. How is it that all these different people remember the same details of a non-existent show? This story’s fright stems from the insidiousness of its premise: something is affecting these individuals in a concerted way to create the same delusions and has been for some time. Are they demonic hallucinations? Was there a secret broadcast only a limited number of viewers were ever aware of? We can’t be sure because the story masterfully slams on the brakes with the mother’s revelation. 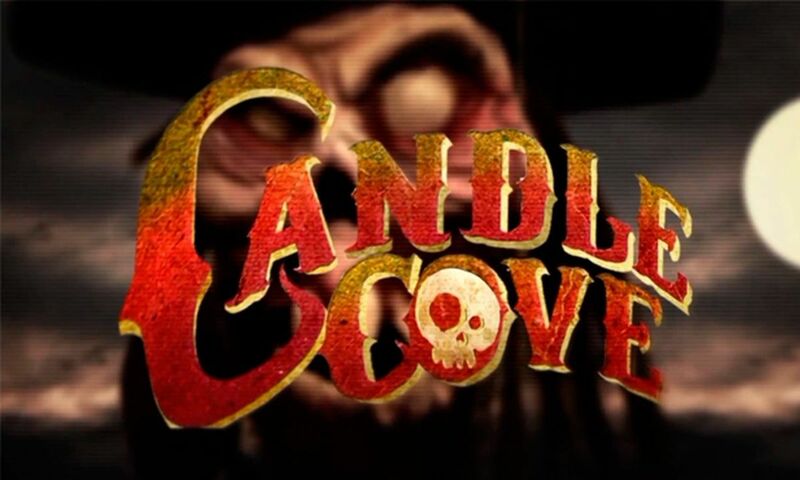 “Candle Cove” could very well be the face of urban legends in the Age of Facebook, and its exploitation of the tools that shape our consciousness secures its position on this list. Few urban legends achieve the ubiquitous status of “The Babysitter and the Man Upstairs,” but that’s because few pack this one’s dreadful punch. This one mines the same babysitter vein as “The Clown Statue” but also plays with the same outer/inner threat dynamic we saw in “The Killer in the Backseat.” We’ve all heard it or seen When a Stranger Calls: A teenage girl babysits a married couple’s kids and after putting them to bed begins receiving bizarre phone calls with lurid breathing and moaning, diabolical laughing, and the repeated question, “Have you checked the children?” The girl calls the police several times and is told to try to keep him on the line so he can be traced. It finally works as we reach the tale’s summit and the dispatcher intones, “Get out right away.” “Why?” the stunned babysitter asks. “THE CALLS ARE COMING FROM INSIDE THE HOUSE,” he answers in an impassioned, scarcely controlled burst. The maniac, drenched in the children’s blood, throws open a door upstairs and begins his descent towards the babysitter who runs outside into the corps of police officers who have been dispatched to rescue her. This tale locates evil right within the space we uncritically presumed was safest and captures the failure of the presumptuous guardian to carry out her duty. The babysitter’s rescue at the end sets up a silent coda of survivor guilt that becomes our own through our identification with the babysitter and leaves us wary of the “safe spaces” we had counted on. In terms of sheer visceral fright, “People Can Lick Too” is nigh unbeatable. The story’s twist is despicably transgressive: The reassuring kiss of a beloved pet is subverted in the most perverse manner imaginable, unleashing the same type of retroactive terror as “The Man In the Backseat.” Again the violation of safe spaces is deployed to chilling effect, but this time the inhuman irrationality of the maniac’s actions elevate the climax into a new realm of spine-tingling thrills. The tangibility of the maniac’s ruse infects our sense of intimacy and sickeningly flips inside out our expectations of consolation and comfort. If your pet is your first line of defense against late night creep-outs, take note: You’ve been warned! 5. I have always appreciated this urban legend for the simple fact that it plays fast and loose with expectation. I’m not entirely sure why we expect the person following behind the woman to be the bad guy. I might speculate that it plays into a broader sensibility that has plagued humanity for a while: the threat is always out there, it’s not going to be in here. Which is why the pay off to the story is so chilling because our sense of safety in here is shattered. 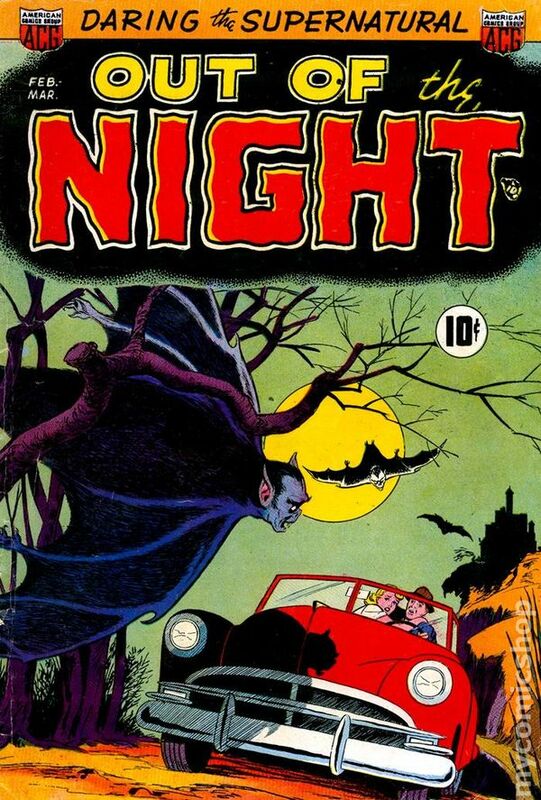 No wonder I still, personally, check the backseat when I get in my truck at night. 4. 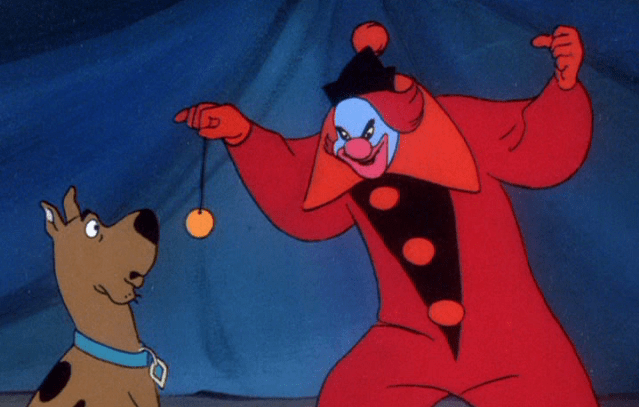 I am pretty sure that the fear of clowns started with Millennial generation (1980, on) and I want to pin it on the TV movie version of Stephen King’s IT and Tim Curry’s paralyzing performance as Pennywise the Clown. I have no way of proving this, of course; maybe clowns have always gotten under our skin. Either way, the very concept of a human being—or alien, if you’re fan of Killer Klowns From Outer Space—dressing up with carnivalesque flair and colorful makeup is bothersome because they are always smiling even if that person underneath is not. Maybe it simply taps into the fear that the people we know aren’t really who we think they are. It could just be that we are all metaphorically dressing up our bad natures with bright clothes and makeup. 3. I had to look this one up and found out that it is a creepypasta story, which I have woefully not spent much time with outside of the big ones like Slender Man. I like the concept of this one as a weird misremembering (or nefarious supernatural event depending on how you want to take it) of our pasts. I probably wouldn’t have put this one on the list with Ian’s other selections. It doesn’t quite have the immediacy and terror of the other four but, knowing Ian’s penchant for unique and brilliant concepts, I can see why this one ended up on his list. 2. Now we are getting into the classics. It doesn’t hurt that this concept has been utilized in various forms with horror cinema and literature. Once again, it is playing on the idea that the threat will always be out there and immediate threats only take place when spatial boundaries are crossed. In other words, in those moments where a threat happens, we cling to our last bastion of hope: it’s outside, not right behind me or upstairs. This story is brilliant because it plays against that same expectation and does so by attacking the one place we all consider to be spatially safe: our home. This is a great #2. 1. Like #2 and #4, there is a transgression of safe spaces and a subversion of expectation going on in this terrific urban legend. However, unlike the other two, this one is particularly nasty because the killer is toying with the girl or woman (depending on the version you read) in a way that corrupts a type of intimacy and physical touch. Dogs and cats lick us often as an expression of joy or satisfaction when we pet them. We don’t consider that to be a culturally accepted form of human expression of affection—unless, of course, you get into some forms of sexual expression. So this one is particularly bothersome because it transgresses cultural forms of intimacy. And the dog gets killed which goads our sense of innocence taken. Of all of Ian’s list, I agree that this is easily the most terrifying story, but I still have a bit of a soft spot for the organ harvesting and hook man urban legends. What can I say?